Thank you for visiting Static Caravan UK - an independent registered online business providing an advertising platform for caravan holiday home owners throughout the UK since 2004. 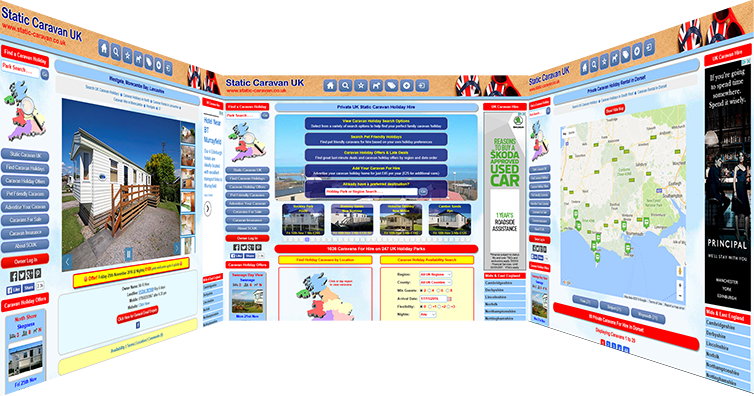 Static Caravan UK is a custom designed website, offering visitors a large selection of caravan holiday homes for hire in England, Scotland & Wales and maintained to assist private static caravan holiday home owners with the advertising of their privately owned caravan holiday homes. The website continues to grow in popularity with high placement on all major search engines and social media.